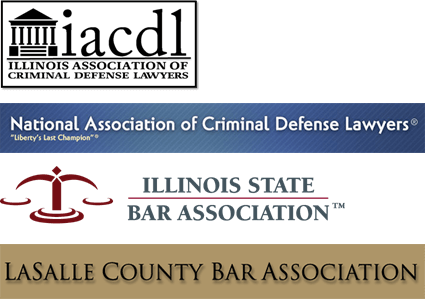 There are many criminal defense attorneys to choose from in the state of Illinois. However, you want a qualified, experienced and aggressive attorney to handle your criminal defense. If you are seeking results and someone to help fight for your rights and interests, you need to contact the Law Office of Michael Olewinski today. You need to contact the Law Office of Michael Olewinski to speak to a qualified and experienced attorney as soon as possible. Attorney Michael Olewinski will be able to respond to your needs effectively and immediately. He will be able to assess the facts of your case and determine your strengths and weaknesses. Further, Mr. Olewinski will use his previous legal experience as a former prosecutor to help you build a successful case. Why Is It Important to Have an Aggressive Attorney to Fight for You? It is crucial that you get the best criminal defense attorney to represent you with your criminal defense matters. Driving under the influence (DUI) is not a charge to be taken lightly in the state of Illinois. If you were caught driving with a blood alcohol content (BAC) level that exceeds a certain amount, you can face severe punishments. In fact, the seriousness of this offense can have a devastating impact on the quality of your life. Failure to obtain a qualified and experienced criminal defense attorney may cost you your freedom, time and money. Apart from facing the aforementioned penalties, having a DUI on your record can also have a detrimental effect on your future endeavors such as applying for employment or going to school. Act fast and contact Michael Olewinski to handle your DUI matters. The Law Office of Michael Olewinski provides aggressive criminal defense. Located in downtown Morris, Illinois, the Law Office of Michael Olewinski is conveniently situated just a couple of blocks from the Grundy County Courthouse inside the Morris Building and Loan. Morris DUI defense lawyer Michael Olewinski offers great legal service, and he has successfully handled many criminal defense cases. With 20 years of experience, you can be confident that Mr. Olewinski will help you protect and defend your rights.